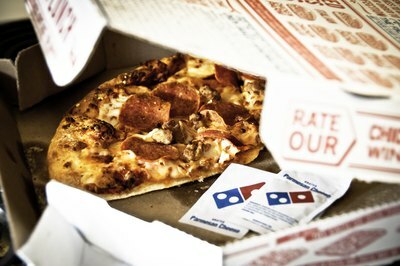 Domino’s Pizza was founded in 1960 and currently has more than 8,000 stores. The pizza chain has a variety of options on its menu. 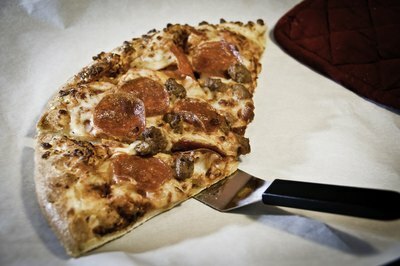 The franchise currently offers four different pizza crusts--pan, thin, hand-tossed and Brooklyn. 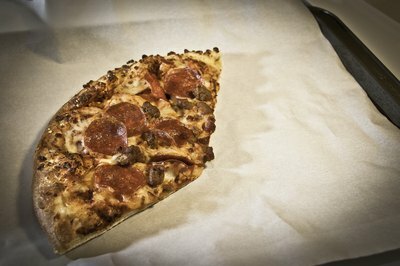 If you have leftover Domino’s pizza, you can reheat it in the oven. 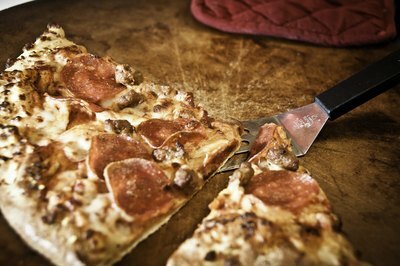 Reheating Domino’s pizza in the oven is not different from reheating any other delivery pizza, but you will need to reheat the pizza properly to preserve the taste and texture. 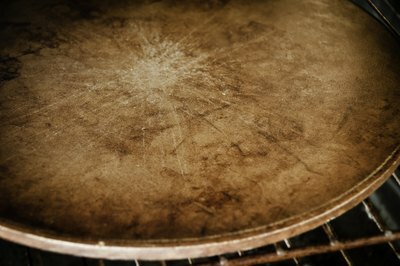 Place the pizza stone on the middle oven rack. Preheat the oven to 400 degrees Fahrenheit. Open the oven while wearing oven mitts. Place the leftover Domino’s pizza on the pizza stone. Do not allow any parts of the pizza to hang off the stone. Close the oven door. Reheat the pizza for five to 10 minutes in the oven. Check on the pizza every couple of minutes. 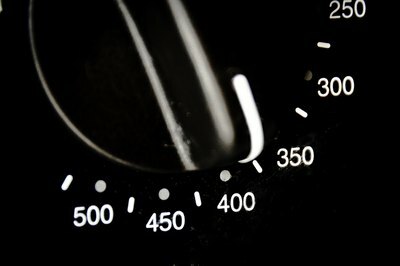 The length of time it requires to reheat the pizza will depend on the size of the pizza and how cold the pizza was before you placed it in the oven. Remove the pizza stone with oven mitts, then use a spatula to plate individual pieces of pizza. 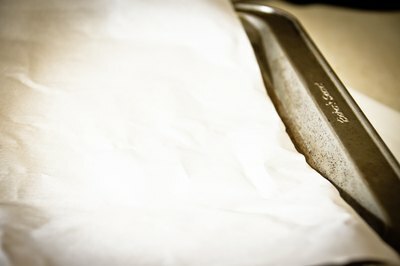 Place a piece of parchment paper onto the baking sheet. The parchment paper must be large enough for the amount of pizza you want to reheat. Place the pizza onto the parchment paper. 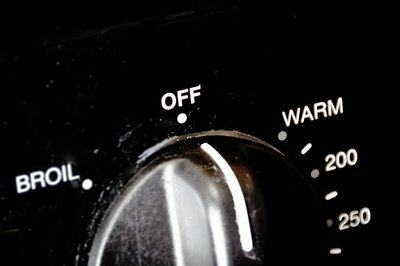 Once the oven preheats, place the baking sheet into the oven for five to 10 minutes. Check on the pizza while it reheats. 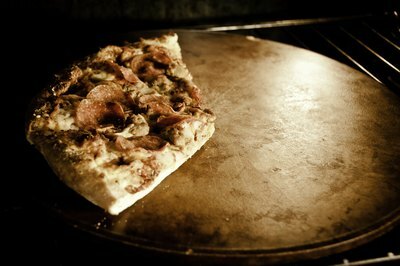 The length of time it requires to reheat the pizza will depend on the size of the pizza and how cold the pizza was before you placed it in the oven. The parchment paper will absorb any moisture, so the crust will remain crisp. Remove the baking sheet from the oven with oven mitts. Remove the pizza from the parchment paper with a spatula. 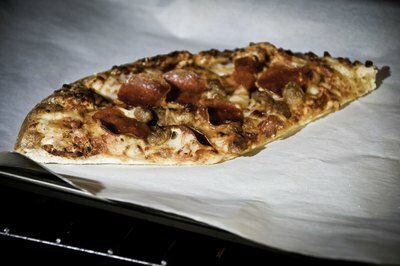 Do not reuse the parchment paper to reheat additional pizza.